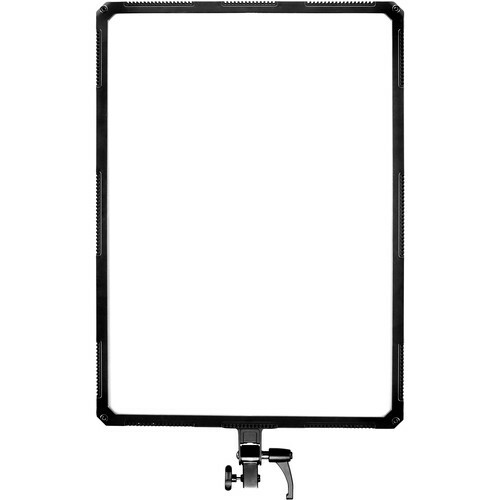 Measures 32 x 20 x 4"
Size: 32 x 20 x 4"
16 x 9 x 3" 22 x 14 x 4"
The Compac200 Daylight Slim Soft Light Studio LED Panel from Nanguang is an ideal choice for the studio or location work where color accuracy, control, and flicker-free output are of major importance. The Compac200's daylight-balanced output is well suited for outdoor work or color-matching HMI fixtures, or other lights' presets while its high CRI of 95 is an indicator of faithful, precise color rendering. Dimming from 100 to 0% is conveniently done on the back-panel LCD display with negligible color shift. The low electrical draw of just 200W means a timely return on your investment. The Compac200 can be used worldwide thanks to its included 100-240 VAC power adapter.